For four days in May, twelve mostly rare films noir from eleven countries around the world will screen at San Francisco's Roxie Theater in the heart of the city's Mission District. 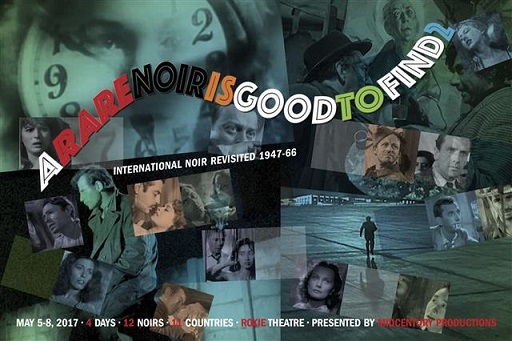 The event, A Rare Noir is Good to Find 2, is the second international film noir festival to be presented at the Roxie by Mid-Century Productions, the company that has already staged 3 annual French film noir festivals there. Says Don Malcolm, Mid-Century's veteran noir programmer, "As astonishing as it is to know that there are hundreds of French noirs awaiting rediscovery on American movie screens, it's even more amazing to see just how prominent film noir was in just about every significant filmmaking nation in the years following World War II." Malcolm's 3rd French noir festival last fall was a real delight, and an eye-opener for those of us familiar primarily with American noir. Pierre Chenal's Le dernier tournant, the first screen adaptation of The Postman Always Rings Twice, was especially anticipated and didn't disappoint (in fact, this reviewer soon after decided to seek out and watch the 1943 Italian version, Visconti's Ossessione). And there were the amazing films of Robert Hossein. 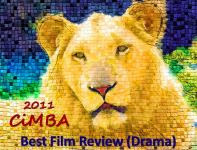 It was a very fine program and the upcoming international festival, which, for obvious reasons, will feature no French films, promises to be just as rich with exceptional and unusual films. 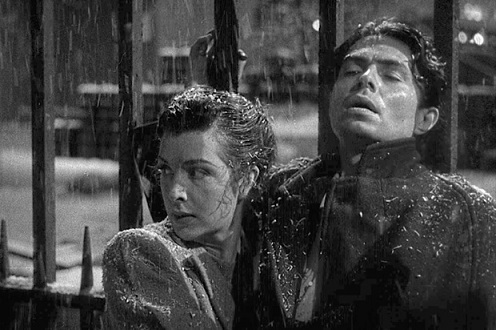 The best known among the films set to screen at A Rare Noir is Good to Find 2 are British director Carol Reed's Odd Man Out (1947), the movie that soon brought James Mason his chance for a film career in the U.S, and Bitter Rice (1949) from Italy. Both films are now part of the Criterion Collection and out on DVD and Blu-ray. But the majority of films, from countries like Egypt, Mexico, Switzerland, Poland, Brazil, Czechoslovakia, Belgium, Japan and South Korea, are entirely unknown to American audiences. Malcolm believes viewers will discover that "...film noir was an essential cinematic modality all over the world for nearly twenty years following World War II, and that filmmakers often rose to the occasion and made their best work when they were working within that framework." It sounds fascinating! I've seen both Odd Man Out and Bitter Rice (still have the original VHS of Bitter Rice) as you probably have. The festival looks fascinating! I attended a press screening and saw the Japanese film, "Cash Calls Hell" (an incomprehensible title) and watched the Czechoslovakian film, "Krakatit" on Vimeo. Very different from each other but both very interesting. 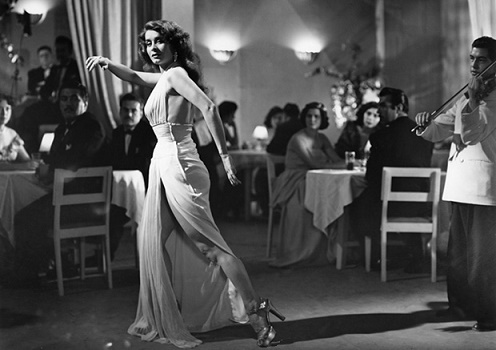 The French noir festival was amazing and this one promises to be, too. Don Malcolm, the programmer, knows his noir!